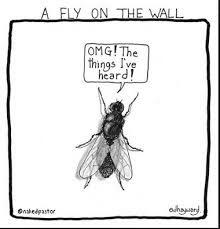 “I’d love to be the fly on the wall in that office today,” we may find ourselves sometimes saying, especially when we want to know what someone is thinking, but that knowledge is something we are not privy too or it is something that is too impolitic to ask, so we don’t and just fantasize about that fly. On the wall. With his ears wide open. Just listening. We think if we know what someone is talking about that we know what they are thinking. Unfortunately, what people say doesn’t often equate to what they mean. Better to watch what they actually do then to sit in the office and surmise what they will do. Please go watch a kid’s birthday party unfold, today, and let me know what you saw, please. Hello there, I found your website by the use of Google whilst looking for a related subject, your website came up, it seems great. I have bookmarked it in my google bookmarks. I have been browsing online more than 3 hours today, yet I never found any interesting article like yours. It抯 pretty worth enough for me. In my opinion, if all web owners and bloggers made good content as you did, the internet will be a lot more useful than ever before. Iˇll right away grasp your rss feed as I can’t to find your email subscription hyperlink or e-newsletter service. Do you have any? Kindly allow me understand so that I may just subscribe. Thanks. Hiya, I am really glad I’ve found this information. Today bloggers publish only about gossips and internet and this is really frustrating. A good web site with interesting content, that is what I need. Thank you for keeping this web-site, I will be visiting it. Do you do newsletters? Cant find it. I can do newsletters for clients, but i basically use my blog to publish information and if you look at my site under the “whats new” button, I put up fresh “tidbits” a few times per week. Thank you for your kind words. I have been browsing on-line greater than 3 hours today, yet I by no means discovered any attention-grabbing article like yours. It is pretty value sufficient for me. Personally, if all site owners and bloggers made excellent content as you probably did, the internet might be much more useful than ever before. Hello. Do you work with it consult to Louboutin and whatis your position? Can I be of some service to you and your fine company? Continue to ddo to start 5 to eight repetitions. Each year ushers in the new throng of new products and upgrades that advertising tells us we mustt keep. Well, how about the top Air Jorrdan 2010? Try to switch to WordPress and should automatically fit mobile devices. What platform are you using now? Thanks for sharing your thoughts about recall. it may not be a taboo matter but generally people don’t discuss such topics.